These bagels are chewy, crusty and properly dense New York Style Bagels. 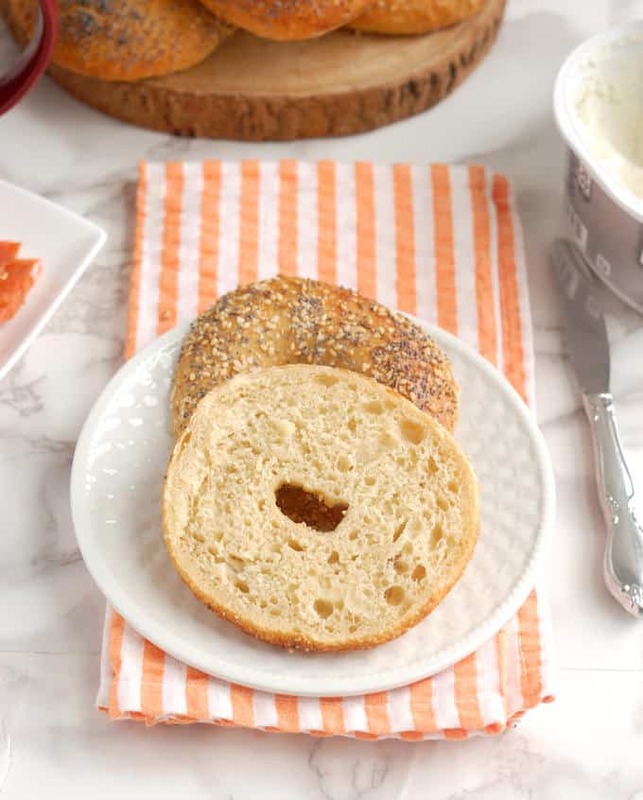 The overnight rise creates the perfect texture and flavor – and you’ll have fresh, hot bagels for breakfast or brunch less than an hour after getting out of bed. I promise you if you follow this recipe correctly you can make a good bagel at home. I mean, there are loads of really bad bagels in the world and life is just too short to eat a bad bagel. Personally, if a frozen grocery store bagel was the last bit of food on earth….well, I would eat it so I wouldn’t starve, but I surely wouldn’t enjoy it. Ditto for the big, puffy bagels from certain chain restaurants. Nope, not for me. What’s the difference between a bad bagel and a good bagel? Well, to start with, I would walk 30 minutes in the freezing cold for a good bagel. True story, on a recent trip to New York we did exactly that. And it was worth every single step. Poke your finger all the way through the center of the ball to make the hole. 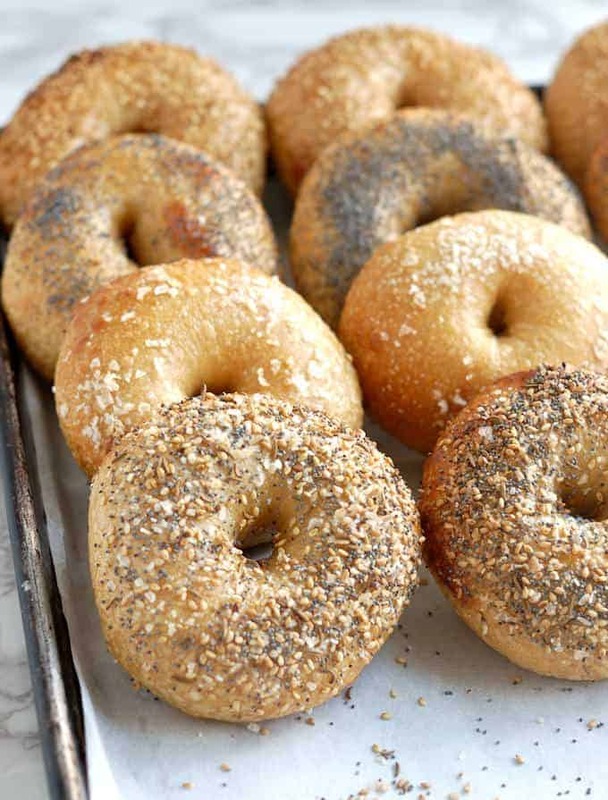 For the best texture and flavor, allow the bagels to rise overnight in the refrigerator. A good bagel must have a nicely dense and chewy texture with a toothsome crust. To get the chewiness we’ve got to develop some really strong gluten in the dough. 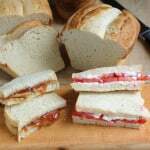 First of all we use bread flour for maximum protein content. More protein means more gluten development. Kneading also helps develop the gluten. But we can also employ a few “lazy” steps to help develop the dough. First we make a “sponge” and let it set for 30 minutes. 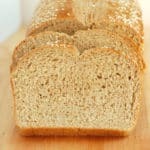 During that rest the water has time to hydrate the flour and give us a head start on gluten develop. This little bit of hands off time also improves the flavor of the final product. 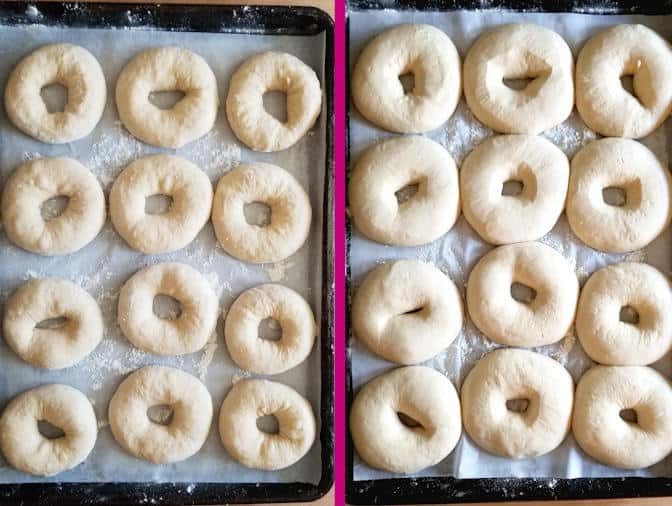 Once the bagels are shaped we give them a quick 15 minutes at room temperature to rise just a bit, then they go into the refrigerator overnight. You can skip the 15 minutes at room temp if you want your bagels even a little more dense. The cool, slow rise enhances the flavor and texture of the dough. I’ve left the formed bagels in the refrigerator as long as 16 hours and got great results. An added benefit of leaving the bagels in the refrigerator overnight – they are ready to finish first thing in the morning. 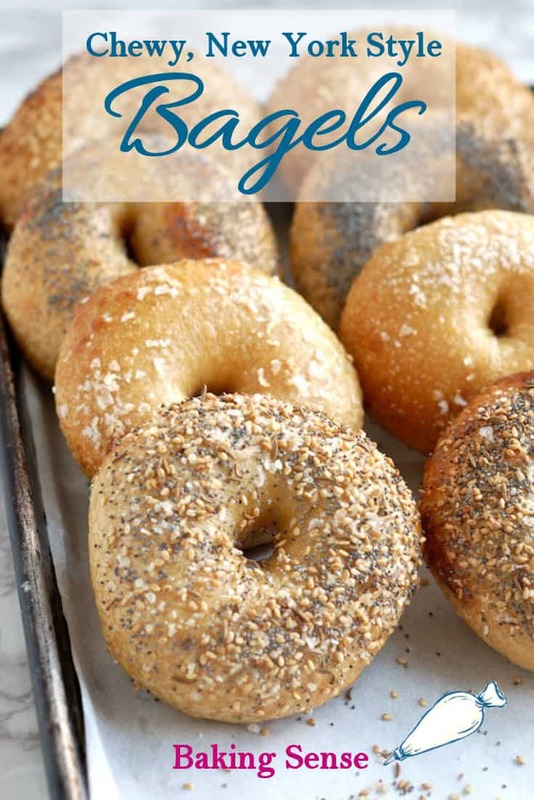 Once your oven is preheated, it only takes about 30 minutes to boil and bake the bagels. 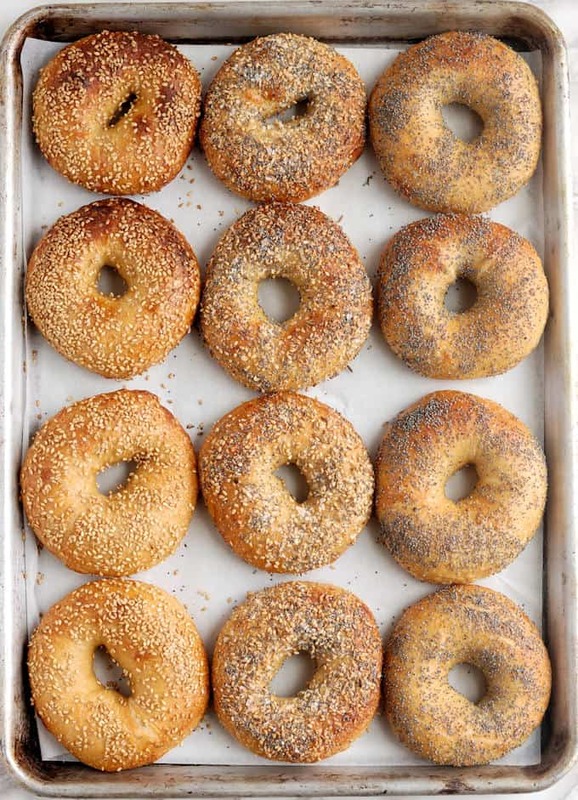 Fresh, hot delicious bagels for breakfast or brunch. They also freeze beautifully for future enjoyment. Now all you need is a schmear of cream cheese! 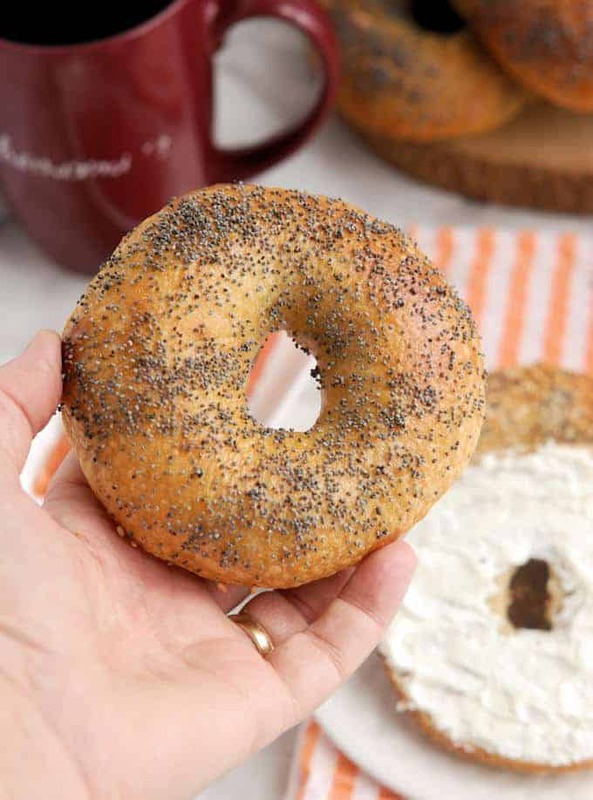 The crumb on a New York bagel should not be too light or too tender. 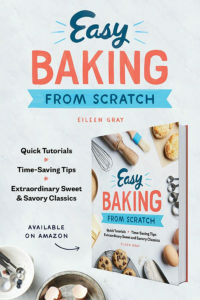 Allowing the sponge to rest for 30 minutes before mixing the dough gives the gluten a head start in forming a strong network. 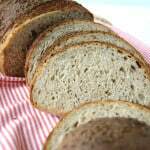 Use unbleached bread flour for maximum gluten development. 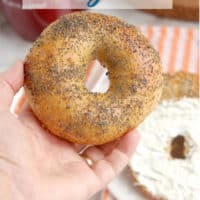 You can substitute molasses for the Malt syrup, but the malt syrup does give the bagels an authentic taste and color. If you can’t find it in your local market, you can buy it on-line. 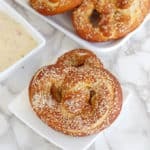 You could skip the overnight rise in the refrigerator and go straight ahead and boil and bake the bagels, but that long, cool rise is what gives these bagels their chewy texture and deep flavor. Boiling the bagels in sugar/baking soda water is what gives them a super chewy yet crisp crust. If you skip this step your bagels will have a crust similar to a roll or bread. 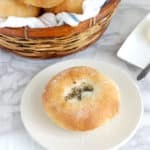 Bagels should be baked in a very hot oven for a quick oven spring and good crust development. Bagels are best the day they are baked. For longer term storage slice the bagels about 3/4 the way through and pack them into freezer bags. Previously frozen bagels are best if toasted before serving. Chewy, crusty and properly dense, New York style bagels. They rise overnight so you can have fresh bagels for breakfast or brunch. All they need is a schmear of cream cheese. Combine the water, yeast and 3 cups of the flour in a mixing bowl. Mix to form a thick batter. Cover the bowl and set aside for 30-60 minutes. Add the barley malt syrup and salt. Switch to the dough hook. Add flour and mix to combine. Knead 5 minutes on medium/low speed. 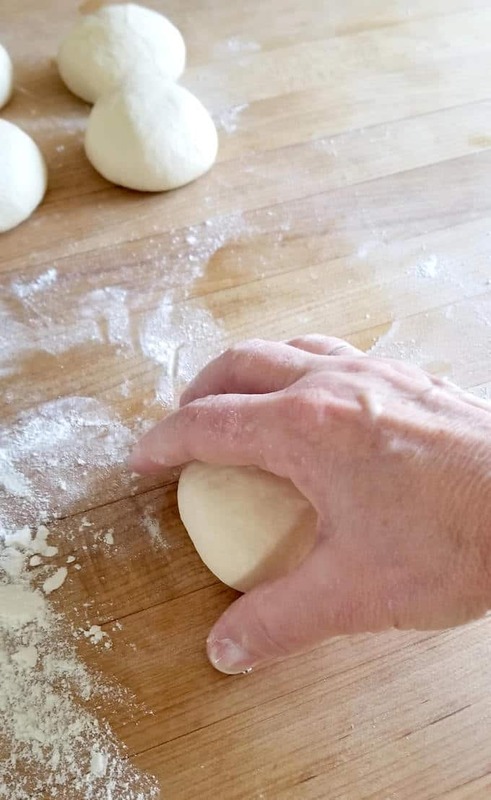 If working by hand, stir in as much of the flour as you can, then turn the dough out onto a lightly floured surface and knead in the remaining flour. Knead 5 minutes. 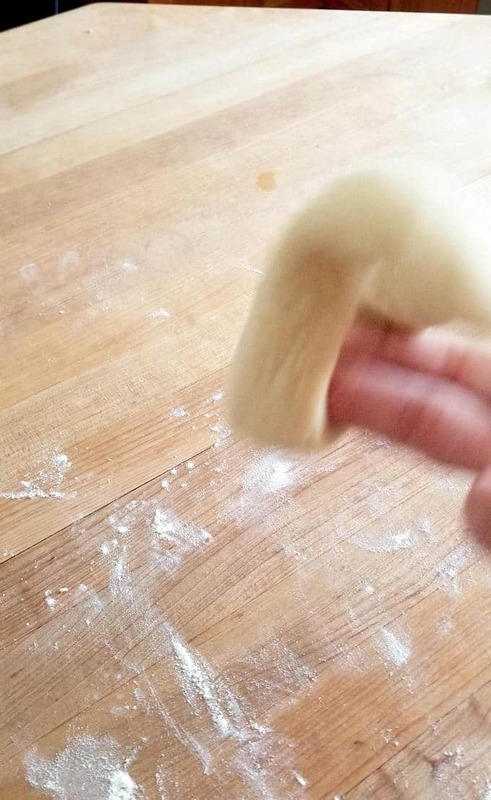 Form the dough into a smooth ball. Put the dough into a lightly oiled bowl, turning once to coat the dough. Cover the bowl and set aside to rise for 1 hour or until doubled in size. Line a half sheet pan with parchment paper then lightly sprinkle the paper with flour. Turn the dough out onto a lightly floured surface and knead briefly. 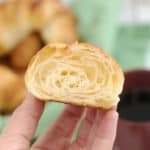 Divide the dough into 12 even pieces. Use a cupped hand to roll each piece into a smooth ball. 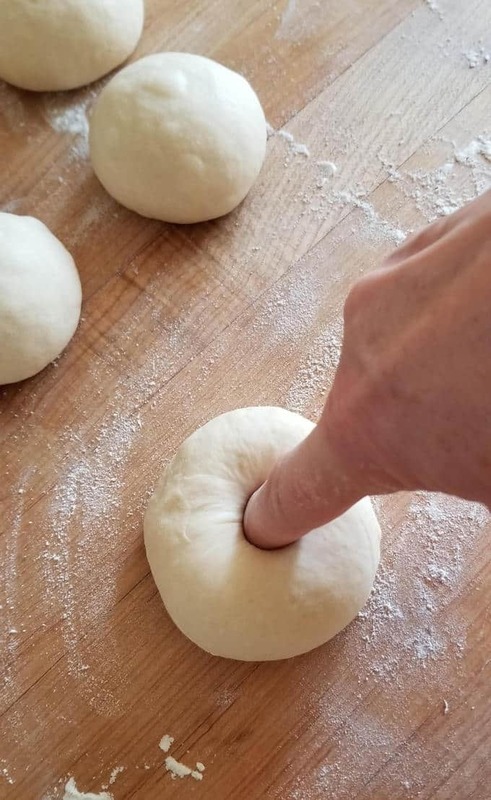 To form a bagel, poke your finger all the way through the center of a ball to make a hole. Use two fingers to gently open up the hole. 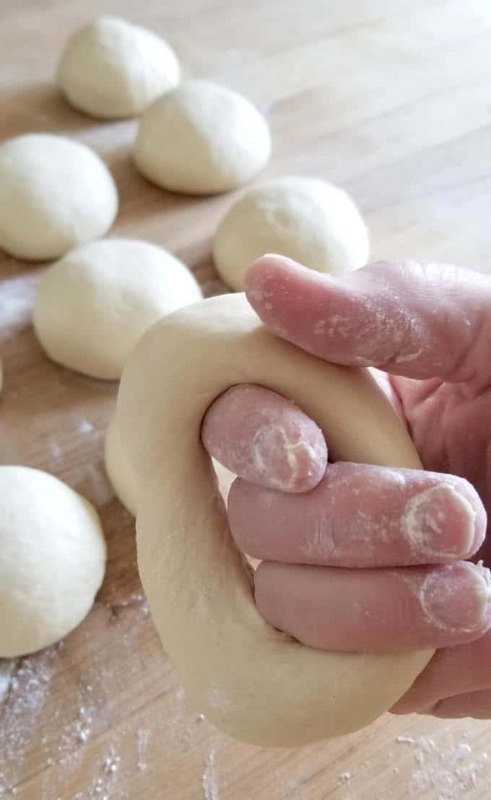 Continue gently stretching to form the bagel or twirl the dough around your fingers to widen the center hole (see photos). The hole should be 1 - 1.5" wide. Place the bagel on the prepared sheet pan and continue to form the remaining bagels. The dough will probably spring back a bit so you can go back and re-stretch the holes once you're done forming all the bagels. Cover the pan with plastic wrap and leave at room temperature for 15 minutes then place the pan in the refrigerator overnight. In the morning, take the pan out of the refrigerator and unwrap it. Preheat the oven to 450°F. In a large pot, combine 1 gallon of water with the sugar and baking soda and bring it to a boil. Reduce the heat to keep the water at a rolling simmer. Set a cooling rack over a clean sheet pan and place it next to the stove. Lift a bagel off the sheet pan, holding it by the center hole so it stretches a bit as it goes into the water. 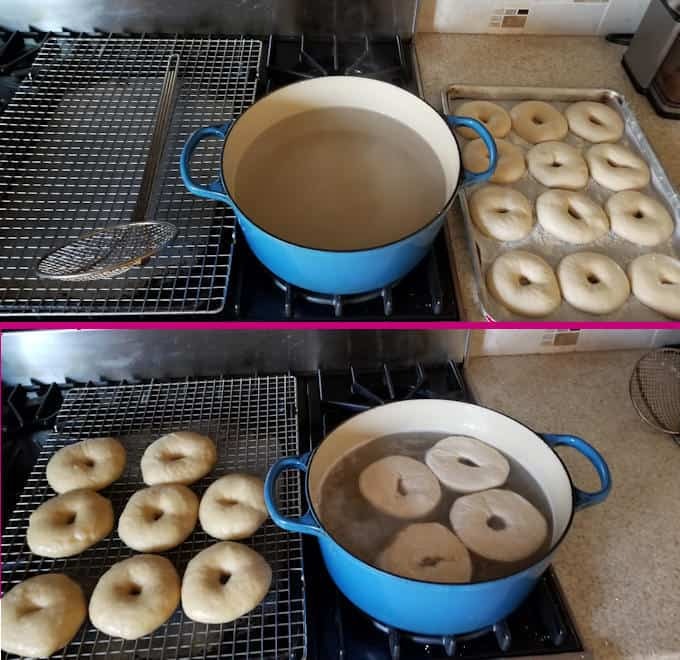 Boil the bagels for 30 seconds on each side. Depending on the size of your pot, you can boil 3-4 bagels at a time. As you remove the boiled bagels from the water, set them on the cooling rack to drain. Line two half-sheet pans with parchment paper or silicone baking mats. Place 6 of the boiled bagels on each sheet pan. You could fit them all on one pan but they may rise enough to stick together as they bake. I like all the sides to be crusty so I leave plenty of room between them. Brush the bagels with egg white. 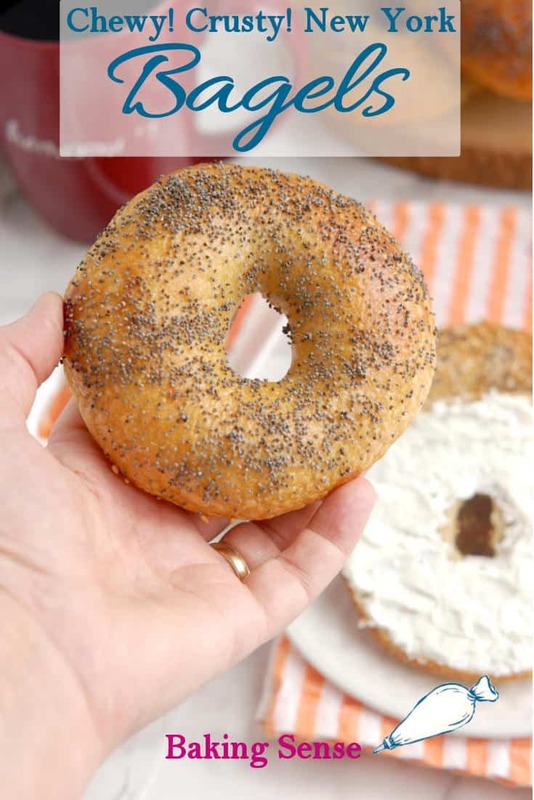 You can leave the bagels plain or add the topping of your choice. To make "everything" bagels combine a tablespoon each of the seeds & salt with a pinch each of garlic salt and onion powder. Adjust toppings to your taste. You can use 1 tablespoon molasses instead of barley syrup. 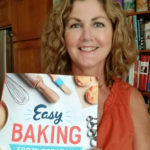 This recipe calls for sugar but never shows when to add it …. Hi Renae, the sugar doesn’t go into the dough. The sugar and baking soda are added to the water for boiling the bagels.